I have stopped blogging about four years ago - you'd think when you look at my blog today. That's actually not true, I did write loads about my studies and my research. Aside from academic publications, I also wrote loads of blog posts that were published with the Green Party Germany (alas, in German), with the Open Innovation Team at the Cabinet Office, and most recently, the Chatham House Commission on Democracy and Technology. I was also involved in a project for a while - 'Project PhD' - a shared blog where some friends and I discussed our PhD journeys in very different circumstances. Sadly, the project withered away as we got more enveloped in said journeys. I found that I need to gather all the stuff I wrote in one place, so that I can keep taps on all that I have done. I'd also like the occasional visitor of this blog, who probably found it through Google because we crossed patsh somewhere, to be able to read up on what I'm up to. So here we go, reposting all the content of the last few years! Does online participation really save political parties from oblivion? This post was written for the Chatham House Commission on Democracy and Technology. The original post can be found on their blog. There is some truth to this. But online participation processes have complex effects on the way that party members engage. My research focuses on the use of online tools in the Green Party in Germany. The party implemented a series of changes to how their members can engage online. Specifically, they introduced online surveys among their member base, in order to enable discussions about policy decisions; introduced an online petition system, through which members can collectively set discussion items on the agenda of the executive board (or other party bodies), and further developed their existing online proposal submission system, so as to allow close to real-time tracking of the status of proposals, and their level of support. The question is what effect the introduction of these tools had. This is important precisely because there are, and have been for some time, many expectations about the potential of ‘online democracy’. What is often overlooked in these discussions is that online participation is by definition exclusive and may therefore reinforce political divisions that already affect how politics is conducted beyond the internet. For example, we already know that inequalities in society such as gender, age, educational attainment, income, ethnic origin and social class lead to differences in political participation. Women are less likely to engage in formal politics, either in parties or voting. While young people may be more likely to engage in political protest, they are less likely to engage in formal politics. Whether or not a person will vote is to a large degree predictable by their formal education. These are the divides that are often assumed to be overcome with technology: online, nobody knows who you are – and therefore, everyone can vote, discuss and participate independent of what holds them back offline. Unfortunately, it is not true. While nobody may know that I am a woman, I do not stop being one. The things that hold women back, such as lower income (gender pay gap), lower political efficacy (they do not think they can make a difference) and less time (e.g. through mental load) are still there. If women earn less, they have less resources to spend on political participation; they are also less likely to have access to the internet. If they feel less empowered, they are less likely to vote, or even attempt to engage politically. If they have more on their minds and shoulders, they have less time, and will be less likely to spend what time they have on political participation. Other factors have similar effects, both on political participation in general, and use and benefits derived from use of the internet. Through this combination of the participation divide and the digital divide, online political participation, rather than helping those who are disadvantaged offline, is actually more likely to reinforce these divides, and make those people even less likely to engage. The problem is even more complex than this. Online participation is not one thing, and different tools do not have the same effect. The difference is not so much in whether a political activity is conducted online or offline, but in the nature of the activity; and different online participation tools engage different types of members. For example, men and younger members were more likely to be active on the proposal platform, while the surveys were very engaging for highly educated members. Older members were less likely to use either of these tools. There were even some new inequalities – for example, women were very active in the party overall, but less active online. The one factor that universally predicted the likely adoption of online tools was the opinion members had of these tools: if they thought they would help them, they were more likely to use them; if they thought they would not, then adoption was unlikely. In short, while online participation could help to reinvigorate internal party democracy, this will not happen of its own accord. Parties will need to put in hard work to make it happen. This will involve understanding how their members currently participate and reflecting their preferences in what they do online. They will also need to consider who does not currently participate, understand why, and, if possible, find ways to enable these members to participate. Crucially, this also means that they need to recognize that the solution may not even be online. This post was written for the Green Party Germany, following a workshop I delivered at their women's council meeting in 2018. The original post can be found on their participation blog. Am Wochenende vom 07. bis zum 09. September 2018 hatte ich die Gelegenheit, mit dem Bundesfrauenrat über Onlinebeteiligung zu diskutieren. Ganz spezifisch ging es darum, wie sich die neuen Onlinewerkzeuge, die die Partei in den letzten Jahren eingeführt hat, auf die Beteiligung von Frauen auswirkt. In meiner Doktorarbeit erforsche ich ganz explizit den Effekt der Einführung der neuen Onlinebeteiligungstools auf die Beteiligung der Mitglieder. Die Werkzeuge mit denen ich mich vor allem beschäftige sind das Antragsgrün, die Mitgliederbefragung, und das Mitgliederbegehren. Die Onlinewerkzeuge haben durchaus auch positive Effekte. So haben zu etwa auch Gruppen vor, sich mehr zu beteiligen, die bislang eher unterrepräsentiert sind. Zum Beispiel wollen ältere Mitglieder sich verstärkt über das Antragsgrün einbringen, und Mitglieder ohne Universitätsabschluss wollen sich sowohl Anträgen als auch bei Begehren einbringen. Gleichzeitig lässt sich - bislang - auch nicht absehen, dass bestehende Unterschiede verstärkt würden: So haben etwa bereits aktive Mitglieder nicht vor, online noch aktiver zu werden. All das ist für die Partei, die Diversität in den Prozessen und die ausgeglichene Beteiligung von Mitgliedern sehr positiv. Was dann nicht mehr so gut aussieht, ist die geplante zukünftige Beteiligung von Frauen. Gefragt danach, welche Wirkung die neuen Werkzeuge auf die persönliche Beteiligung haben, sagen Frauen deutlich häufiger, dass diese für sie keinen Unterschied machen - sie wollen sich genau so viel oder wenig einbringen wie bisher auch. Männer in der Partei haben hingegen deutlich häufiger vor, sich durch diese Onlinewerkzeuge mehr zu beteiligen. Wenn dies so eintritt, und von einer aktuell ausgeglichenen Beteiligung ausgehend Frauen ihr Verhalten nicht ändern, aber Männer das ihre intensivieren, würde das die bestehende Geschlechtergerechtigkeit untergraben. Offline schafft es die Partei - zumindest in großen Teilen - die Unterschiede in der Beteiligung auszugleichen. Eine große Rolle spielt dabei das Frauenstatut (PDF) - der Teil der Satzung, der etwa die paritätische Besetzung von Ämtern und Listenplätzen, oder auch Redezeiten auf Versammlungen regelt. Der Länderrat hat, als Teil der Beteiligungsordnung, bereits beschlossen, dass das Frauenstatut auch online gelten soll. Wie dies allerdings sowohl technisch als auch prozessual umgesetzt werden kann, ist noch weitestgehend offen. Erst kürzlich wurde im Antragsgrün ermöglicht, das Geschlecht von Antragssteller*innen und -unterstützer*innen zu erfassen. Transparenz ist ein wichtiger Schritt: Nur wenn bekannt ist, wie die Geschlechterverteilung online aussieht, können die richtigen Stellschrauben identifiziert werden, mit denen sich im Fall von Ungleichheiten nachjustieren lässt. This post was written for Public Policy | Soton, following their facilication of my placement in the Open Innovation Team at the Cabinet Office. The original post can be found on their blog. I spent three months working on a secondment with the Open Innovation Team at the Cabinet Office. This experience helped me to learn a lot about how policymakers work and engage with academics. The Government Digital Partnership exists to 'deepen collaboration with academics' and bring academic expertise into policymaking. This is done in a variety of ways, from simple conversations through long-term consulting, to building prototypes based on research. The team’s main goal is to help government successfully adapt traditional governance to digitalisation. I worked on a variety of projects: around Blockchain, Artificial Intelligence, and Efficiency Measurements. One project in particular was well aligned to my own research: I got to advise the team working on the Open Government National Action Plan on the use of online participation tools for citizen engagement. I have written more about this on the team’s blog. I also spent a good deal of time managing projects and organising events, such as 'Communities of Interest'. These events are open to all interested academics, so if you are working on Blockchain or AI, you should get in touch with the team! It's a great way to engage and network with policymakers. The most important thing that I learned was that it is really hard for policymakers and researchers to work together, as often they speak different languages. I watched a lot of presentations done by academics in those three months, and many struggled to engage the policymakers effectively. Though I met a surprising number of PhDs around Whitehall, not all civil servants have an academic background. They do not care so much about how data was collected or analysed. They mostly trust the experts - us academics - to do our job well and be able to back up what we say. They don't need to see the evidence. They simply want to know what the results mean for their work, and prefer to discuss the implications rather than listen to lengthy talks. Much of what the Open Innovation Team does is around enabling those conversations, and educating policymakers about how to work with academics. Going forward, I hope the team provides more guidance to academics, to make these collaborations even more fruitful. If we understand better what both sides are after, we can achieve great things together. This post was written for the Open Innovation Team at the Cabinet Office, during my placement with them in spring 2018. The original post can be found on their blog. 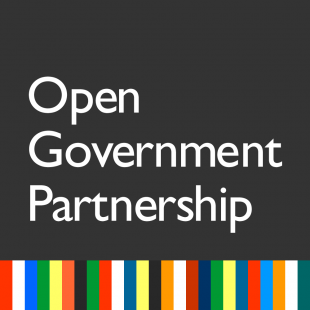 The UK is a founding member of the Open Government Partnership (OGP), a network of more than seventy countries who commit to the shared values of openness and transparency. Every two years, each country develops an Open Government National Action Plan (OGNAP) which sets out how they will deliver on those commitments. The 2016-2018 OGNAP can be found here. One of the key OGP values is participation. This is done in a variety of ways. Our sister team, PolicyLab, has done some amazing work in engaging citizens locally. The new action plan will include some online elements. Consultations, which can be viewed and responded to online. Government has experimented with other forms of online engagement in the past. The Womenspeak forum allowed victims of domestic abuse to feed into the development of policy. The ‘Workload Challenge’ invited ideas from teachers on how to reduce their workload, and received over 40,000 submissions. Online participation is a great way to engage citizens. It can help reach people who would not usually engage e.g. rural populations, those who are less mobile and younger generations. However, online participation can be exclusive and the benefits are not shared across all demographics. What is the purpose of the engagement? What type of engagement is best suited to achieve that goal? What groups should be engaged, and how can they best be approached? Which, if any, online tool is best suitable to support this process? If you would like to get in touch with the Open Innovation Team about their work in this area, you can email them openinnovation@cabinetoffice.gov.uk or follow them on Twitter @openinnovteam.